After seeing what Meetup.com had to offer, I decided to create a group of my own. Within six months, the Ocala I.T. Professionals had over 60 members and two spin off groups. The main group meets every so often, alternating between dinner meetings at local restaurants and presentation meetings at the local city-run business incubator. The leaders of Ocala’s Chamber and Economic Partnership were excited about what we were doing for the local tech community and have been incredibly generous with meeting space and other assistance. Once it became clear that we had a decent following and the ability to see this through, the CEP offered to bring us in as part of their organization and provide even more resources and promotion. The past several months have been a great opportunity for me to use and build on everything I’ve learned over the years about leadership and I’ve put everything I can into making it a success. 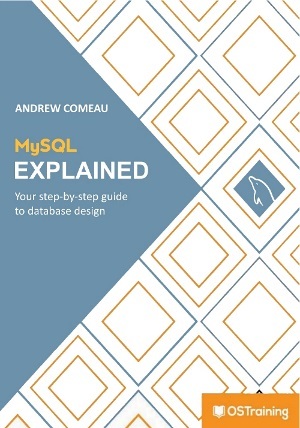 Having been a meetup organizer for the past several months and having seen other examples of meetups, successful and otherwise, I wanted to offer some guidance for those who are considering starting their own group on Meetup.com or elsewhere. #1 – Why are you starting a group? It’s important to define your goals for the project and determine how your group will meet those goals. This affects the way in which you attract members, your message and your group’s activities. Starting a meetup is not just about sharing interests. Existing organizations can also use meetups and other networking groups to publicize their meetings and manage local chapters. The Florida Trail Association, which works to maintain and promote the hiking trails and outdoor recreation throughout Florida, sponsors several Meetup groups in different areas of the state with thousands of members. Various Toastmasters and Lions Club chapters also use Meetup.com to organize their members and meetings. The membership tools and event registrations make it easier to manage and promote these activities. Educational meetups are a growing phenomenon. These meetups are often centered around instruction in various subjects and could even become an alternative to traditional college and adult education. Technology education in particular is starting to find an outlet through meetups where instructors can offer interactive instruction in a less formal manner and without the financial, accreditation and scheduling hassles of traditional classes. Other non-technical groups like Toastmasters and many Yoga and martial arts groups use Meetups to manage their local divisions and clubs. While many of these are free, Meetup.com gives organizers the ability to charge for membership or individual events. This and other methods of funding I’ll discuss later can help to cover the costs of running these classes or even turn them into profitable business projects. There are many reasons to start a meetup group and defining the reasons for starting yours is an important first step. Businesses can also use meetups as a way to do some extra direct or indirect promotion. Local business organizations can organize through Meetup.com and exchange leads between their members. When I started the Ocala I.T. Professionals, I thought it might have the side benefit of promoting my own business a little and helping me make more connections. While I’ve avoided blatantly advertising my business at the meetings, my company is listed as a group sponsor and I get a plug as the creative person behind the official website and other online resources. I also give presentations at the meetings on subjects I’m qualified to speak on. Starting a networking group is a creative way of getting attention for your work and can be effective so long as your members know they’ll be getting something other than a sales pitch in exchange for their time. #2 – Who are your people? The people you’re trying to bring together will affect everything from the way you promote the group to the types of events that you’ll plan and when and where you’ll hold those events. 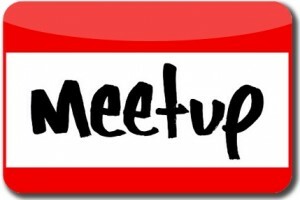 Is your meetup specific to a certain age group or gender? If you’re running a social group for retirees, your events schedule will be much different than if you’re running a group for single parents or young professionals. Likewise, the events and promotion for a women’s running group will be much different than for a bodybuilder’s group where the attendees might be predominantly male. If you’re holding meetings at local restaurants or other venues where the attendees will need to pay, what kind of budgets are your members likely to be working with? If you’re running something like a diabetic support group, your members might have dietary restrictions or mobility issues that determine what locations you can use for meetings. The question of who will be attending your group will also determine how you promote the group to new members and communicate with the ones you already have. If you’re running a meetup that’s tied in with an established organization, religious group or political party, then you will already have some channels for getting the word out about the group and attracting new members. You’ll might already have a message to tap into so that people will know what to expect when they sign up. On the other hand, if you’re starting a new local book club, vegetarian cooking class or business meetup, you’ll need to consider where your people are most likely to see your meeting announcements and what to say to get them motivated to join and keep coming once they have. #3 – What will your group do for its members? After you figure out who your members are, it’s easier to guess what they will want from your group. It’s great if you find a few people in the area who like vintage automobiles as much as you do but you might find that just sitting around talking about them gets a little stale after awhile. It’s best to have topics laid out for the first couple meetings or even an event or two planned. Are there any events in the area such as concerts or festivals that you can attend as a group or other groups in neighboring cities that you can network with? In addition to the meetings and events, there are other things you can do for your members as the group and its vision grows. Meetup.com sites include a discussion area where you can post group-related items and members can carry on conversations between meetings. If the group gets big and active enough, a newsletter with pictures from the meetings and other items of interest to your members might be a good idea. It’s possible that when you’re first starting a group, you’re not even sure what kind of response you’ll get so you can’t be expected to know what you’ll do long-term. At some point, though, you should determine if your group has a long-term agenda such as educating people on a specific subject or a community project. Finding other people with the same interests is great but actions and goals are what really keep people focused and coming back. One of my group’s long-term goals is to create a link between local I.T. talent and the local business community so I make a point of forwarding any local job leads and resources to the members and promoting them on our social media pages. As I said earlier, you’ll be guessing what your members will want at first, so it’s best to be open to the possibility of change while you grow your membership. If you’ve been pretty much on your own in pursuing the interest that you’re building the group around, you might find that others within the community have a different mindset than you do or different life circumstances that you’ll need to allow for when scheduling and planning meetings. 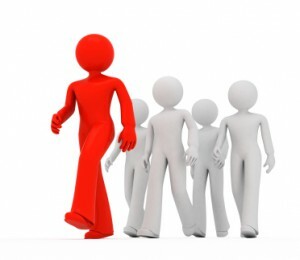 #4 – Are you able to lead this group? 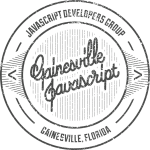 Make no mistake – you will probably be doing most, if not all, of the work in running the new meetup. I was warned about this by a fellow group organizer before I started my group but didn’t truly appreciate it until about six months in. This group is your idea and your passion and, depending on the nature of the group, running it could be a part-time job between scheduling and organizing the meetings, reviewing and coordinating locations, promoting the events and handling whatever issues come up along the way. It will probably cost money here and there which will have to come from somewhere, likely your pocket until you can arrange sponsors or some other funding. You will probably also deal with difficult people inside and outside the group from time to time and how you deal with them will affect the image of your group. You need to ask yourself if you’re ready to face those hurdles and lead the group past them. Sometimes the leader is simply the one who starts moving forward first. Then there’s the issue of being the official Subject Matter Expert and voice for your group. With over 20 years of computer and tech experience, I’m qualified to manage and represent an I.T. group but I still find myself learning from more experienced members which is as it should be. Some of the best meetup leaders I’ve seen aren’t afraid to admit to what they don’t know. Still, you should be able to demonstrate some kind of foundation-level knowledge of your group’s subject, especially if you’re running a class of some kind. Finally there’s the question of whether you want to lead a group. In the end, leadership is not about how well you handle administrative details or how much subject knowledge you have but how well you work with people and respond to all the situations that come from managing a group of individuals. It’s shown by whatever qualities inspire others to look to you when daily choices and decisions are required and how you respond to those expectations. For me it’s meant being the one person who has been at every single meeting regardless if anyone else showed up, being prepared for those meetings and continuing to schedule them even if the attendance was disappointing. It’s meant calmly and tactfully responding to people who I suspected might cause problems within the group or wanted to hijack the group’s purpose. The success of whatever group you start will depend on your willingness and ability to provide whatever leadership it requires. #5 – When and where will your group meet? Your meeting location and schedules are crucial to the long-term success of your group. Having a decent meeting space and accommodating your members schedules is important. Every group has its own needs depending on its focus, what kind of response it gets and the members’ availability. A number of the tech groups I’ve been to meet once a month, such as on the first Tuesday of the month or something similar. Having this predictable schedule helps newcomers to plan more easily. The single meeting per month is partly because the organizers are bogged down with jobs, families and other things and partly because there are plenty of groups to choose from and the organizers and members need time to attend the others as they can, too. The bi-weekly schedule I chose for my group was important because I wanted people to have as many chances to attend as possible. The alternating presentations and dinners meant that I only had one presentation meeting a month to prepare for and was able to relax every other meeting. I soon had a nice, regular schedule mapped out months in advance. I try to find places that are comfortable and reasonably priced since some of our members are unemployed or otherwise on fixed budgets. Our dinner meetings are meant to be heavy on conversation so I also try to find places where the atmosphere isn’t too loud. As for more formal meeting spaces, free is obviously best if you can do it. If you’re hosting a meetup through your company or school, you might have meeting space there. My group started out using the local public library which offers free meeting space for non-profits, which we are. Surprisingly, most people will not click that inviting red button, they might just leave. It’s up to you to get things moving. Speaking of meetings, try to keep at least one scheduled at all times. A Meetup group page with no meetings scheduled is not a good sign. When people come to your group’s page, they need to know that someone is there and running things. It’s also a good idea to schedule them far enough in advance to give people time to plan. If you design a regular schedule like mine or do events every weekend, it’s good to have a few events scheduled in advance to give people a chance to pick and choose which ones they can make it to. #6 – What rules will you put in place? Before your first meeting, it’s best to put some thought into what issues might arise and decide what rules and guidelines you want to be proactive about. For example, you might want rules about appropriate behavior toward other members. In a professional or other adult-oriented group, you might want to discourage members from bringing their children. If it’s an outdoor group, you might need specific safety rules and equipment requirements. There are also age-limited groups and I saw one professional group that limited its members to those with college degrees. Other examples I’ve seen include reminding the members to respect meeting spaces such as restaurants and conference rooms. For my group, I try to keep the rules as few as possible other than limiting the meetings to adults. I recently added a request that people change their RSVP to meetings if they realize they can’t make it. #7 – How will you fund the group? On Meetup.com, organizers pay a fee every six months, slightly more if they elect to pay monthly instead of for the entire six month period. In exchange, the group is promoted to the entire network of Meetup.com members as well as Google and the group sites include a nice selection of tools to manage the group and membership. In addition to the dues, you might find other expenses such as reservation fees for various locations, refreshment costs for meetings, etc.. The more money you have in your budget, the more your group can do. You’re also not out of line if you decide that you’d like to make a profit from a class or other activity where you’re providing something of value to others. There are a few ways in which you can fund a meetup group. The most obvious is by accepting dues from members either for membership within the group or for attendance of individual events. If you know that you’re providing a real value through the group there’s no reason to be embarrassed about asking people to kick in $1 for every event they attend or even $5 per month. If you do decide to charge, you can do this right through Meetup.com. Members can pay Meetup.com with their credit cards, Meetup.com will deduct a commission and pass the rest to you. You can also ask for donations from members, perhaps $1 a meeting, and remind them of the costs involved in running the Meetup. Another way to fund a group is to get sponsors. These could be companies or organizations within your local community who are willing to donate money or items to support your group in exchange for promotion or other considerations. You could also get online sponsors. Companies like Google, Amazon.com and others have affiliate programs where you post their ads and links on your site and get a commission for each click or purchase from those links, depending on the program. Commission Junction is one place to find other affiliate programs that would be popular with your members. If you have enough members and are diligent about displaying the sponsor links and reminding your members to shop through the sponsors, you can cover your Meetup.com costs while keeping the group free for your members and maybe make some extra money. Offering products related to your group for sale to your members would be another way to make money if you don’t mind making an initial investment. T-shirts and coffee mugs with a group logo might be a solution although they require and some work in design and management of the merchandise. They also serve as a way to promote the group through giveaways and they get your name and logo out into the community. #8 – How will you promote your group? Three days after you setup your group, Meetup.com will announce it to all of its members and, hopefully, people will start joining! As I said earlier, Meetup.com also makes its groups visible to Google so that’s some extra exposure for people who are searching on a specific subject. If you really want your group to take off, though, you can’t let Meetup.com do all the work. An awesome logo doesn’t hurt, either. Just like with any other product or service, brand is everything and matters right from the start, Your group will grow as you get members and a real understanding of how much demand there is for your subject but you need to start thinking about the group’s identity the moment you create it and that starts with the name. I joked with the people at my first meeting that I wanted the group to present a professional image for the local I.T. community which was in need of more exposure and that’s why I chose to call it the Ocala I.T. Professionals and not “Geeks United”. I got a few dark chuckles at that. 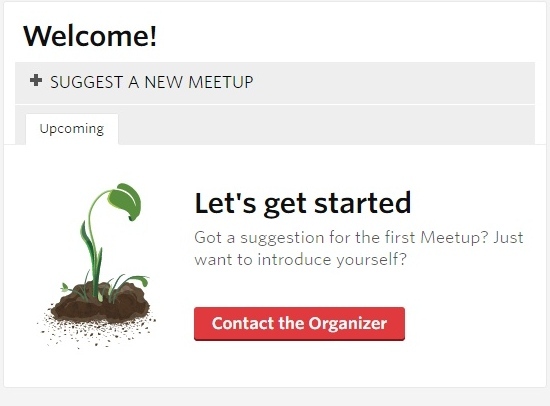 Meetup.com will also ask you to select a number of subjects for your group and promote the group to its other members based on those subjects but the name is still important because that is what those other members will see first. As I said before, Google also indexes these groups and the right name, conceived with an eye toward what people are likely to search on, will take you far. Those are all great names. There is no doubt about what any of them do and they’re Google-friendly. Some get a little more creative like the “Curious Cuisiners” but it’s still clear what the group is about. Also take advantage of other group settings like the headline, description and photo. Also, remember that Meetup.com doesn’t have to be your group’s only site on the Internet. You can create a Facebook page, a Twitter feed or a LinkedIn group for a professional meetup. Even Pinterest, Flickr and Tumblr can provide extra exposure for your group and another way for members and non-members to contact you. Keep all the pages that you create updated with what your group is doing or other links that are relevant to your activities. Use the Photos section on Meetup.com if you can get some good photos. If you have presentation meetings like my group does and the technology to record them, a YouTube channel is a great promotional tool. This all helps you on Google. On our Facebook and Twitter feeds, I also schedule multiple reminders for every meeting leading up to the day of the meeting itself so nobody can forget. Don’t forget the more traditional promotional methods, either. Your local newspaper might have a free events calendar that you can use to promote your meetings. If it’s online, so much the better. Business cards are cheap to have made, too, and it’s great to be able to hand one to someone as a reminder when you’re telling them about the group or stick them up on local bulletin boards. For all the questions that I’ve asked here, starting a new meetup is a simple thing – just put together a group online, set a time and place and see who shows up. If the first meeting doesn’t go as you want, just try again at the next one. It’s good to put some planning into it to get it started off right but the fact is that you won’t really know what your meetup will look like until after a couple of meetings when you see who gets involved and what the demand really is. There will probably be a couple of defining ideas behind the group that you want to protect as you go. Understand that there will be passive and inactive members. Many of these groups have hundreds of members and you know that not all of them show up for meetings. Some people sign up with the intention of going or because the group sounds interesting but can’t make it for whatever reason. I have a few groups like that myself. People have demands on their time that compete with the best of intentions. Some people will participate more than others. It’s a good idea to develop relationships with other groups as you can and treat them as resources, not competitors. One group often can’t meet the needs of all of its members so understand that your members will bounce between groups. At the very first meeting of the Ocala I.T. Professionals, I told our members that I would gladly support anyone who wanted to create other groups focused on specific technologies. As the response to our group grew, I started seeing its potential as a hub for a series of other groups, cross-promoting various interests and referring members as needed. In the end, it’s all about what we’re doing for our members and, by promoting the services of other groups, we provide a service ourselves. Leading a group like this can have its ups and downs but I can honestly say that it’s one of the best decisions I’ve made in a long time. I’ve met people and learned things I wouldn’t have otherwise and, at every point, I’ve felt like I was doing something significant that’s affecting people positively. I look forward to seeing where it goes from here.